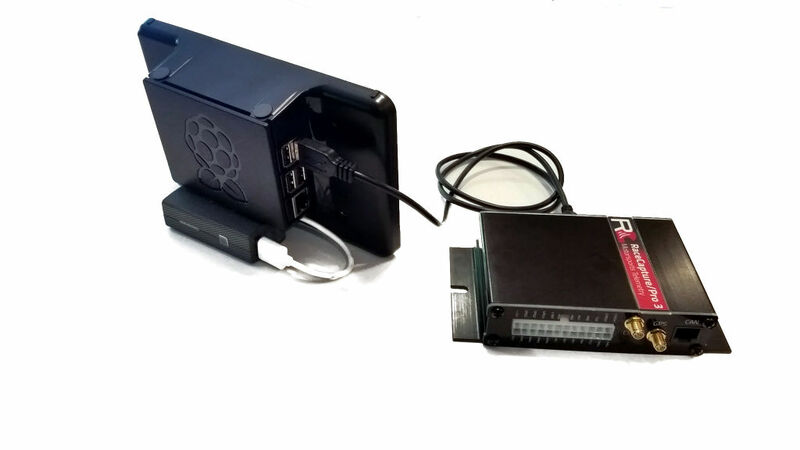 We designed the RaceCapture app to run nearly anywhere - even a Raspberry Pi. And now, for about $100 you can create a hardwired, dedicated dash for your RaceCapture system. Automatically runs upon power up - you can configure the dash to automatically launch the RaceCapture App - just as you'd expect it to work. Hard-wired data connection to RaceCapture - no wireless connections to configure, with the reliability of a direct wire. Runs on the bare metal - The RaceCapture app runs without Android or iOS; there's no other apps competing for resources, or compromising system stability. Overheating resistance - Your typical mobile device requires extra care in very hot weather to prevent damage to it's internal battery, and will shut down if overheated. With proper heat-sinking, the Raspberry Pi should handle the heat. Even though this is brand new and officially experimental in nature, we still made it as easy as reasonably possible: we wrapped up the RaceCapture App into as close to a self-running installer, that can run on a bone stock Raspberry Pi image - only a few changes are required to the default image, detailed below. 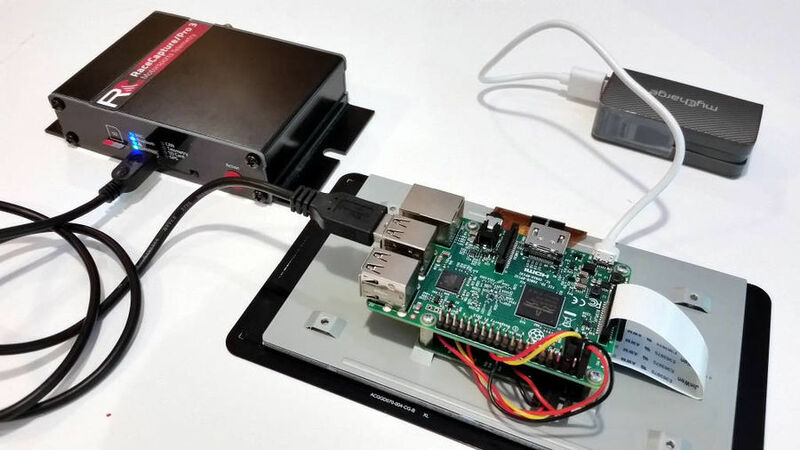 However, in the near future we will create a dedicated Raspberry Pi image that you can burn to an SD card and simply boot up, and move towards more official support as we iron out the issues. Chances are you'll encounter an issue you'll want to report. Before you do that, check the issue log to see if it's already known. Otherwise - the best place for support, feedback and sharing success stories is on the forums . Drop us a note there so we can see the progress of your project! For best performance, we recommend the latest Raspberry Pi 3. Displays supporting the AR1100 resistive touch screen controller. To power everything, you'll need a high quality 5v power supply with 2 amps minimum capacity; 3 amps is highly recommended. You'll preferably want one designed to be hard wired into your car for maximum reliability. If you're running in hot weather, we recommend the standard Raspberry Pi heatsink kit to keep your system cool. We recommend installing Raspian Jessie Lite - download from the official site and follow the instructions for burning to an SD card. Once you've created your image, boot up your Raspberry Pi and log in with the default username of 'pi' and password 'raspberry'. and specify a new, secure password. You can optionally enable SSH for remote management from the comfort of your main computer's keyboard and screen. You'll need to bump up the memory made available to the GPU. Increase the default value of 64 to 256. You can adjust the value directly by editing the /boot/config.txt file. Save the file by pressing ctrl-x then press Y to confirm. Download the latest RaceCapture app package for Raspberry Pi and place it in the /opt/ directory of the Raspberry Pi. You can enable an automatic watchdog that re-launches the app in case a crash occurs. To get the full dedicated dashboard experience, you can enable automatic launch of the RaceCapture app upon power up. and add the following line before the exit 0 line. Connect the power to your display and power up. Connect your RaceCapture/Pro or RaceCapture/Track to the Raspberry Pi using the USB cable. If you have it set to launch automatically, simply let it start upon power-up. 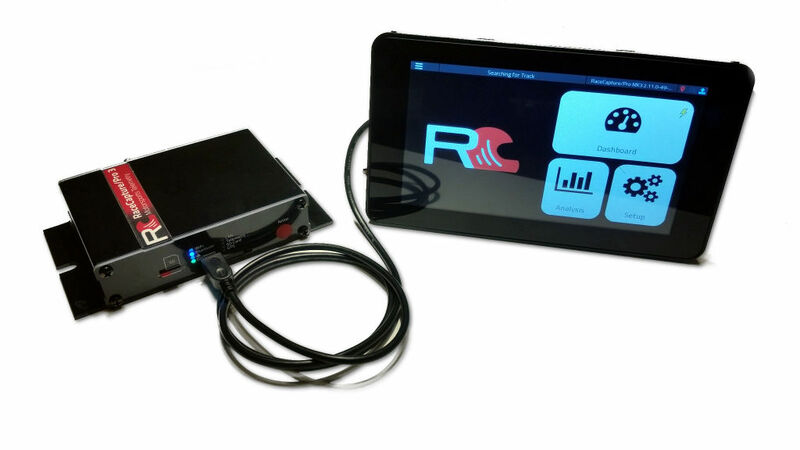 Once the RaceCapture App is running, it will connect automatically over USB. You can use the app just as you would on Android or iOS. The RaceCapture app responds to keyboard commands for certain behaviors. You can use a USB keyboard - or a device that emulates keyboard commands - to control the RaceCapture App. Escaping from screens / menus - The Escape key can be used to exit out of screens and options, just like the 'back' button on Android.